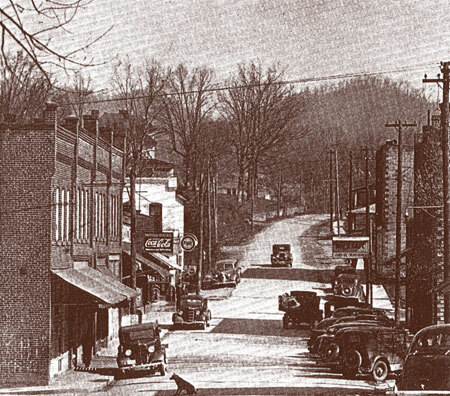 Mars Hill is a town that is rich in history, character, and people. It is located in the southern portion of Madison County, North Carolina in an area known for its beautiful mountain views and picturesque setting. 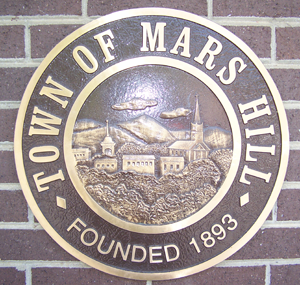 The town's history is inextricably linked with that of Mars Hill College, the oldest educational institution, still in its original location, in Western North Carolina. Before 1856 there were no more than ten families living in a three mile radius of what was known as Pleasant Hill. These families and those who followed moved into the area from or by way of Yancey and Buncombe counties, or from Tennessee. Because there were no schools in the area, families were having to send their children to Yancey County to attend the Burnsville Academy. This was a Methodist school and charges were made that the teachers were trying to lead the children into the Methodist faith. 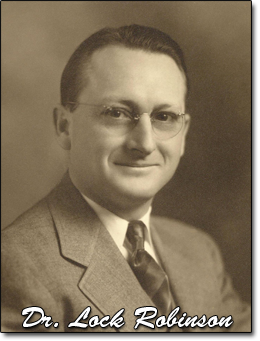 Edward Carter, who had several children, became so concerned about the matter that he took the lead in establishing the French Broad Baptist Institute, later to become Mars Hill College, a school which Baptist children could attend. Carter gave the land and initiated a drive to raise the money to construct a building. A town slowly grew up around this academy. Most of the people who came to the community came because of the school. Teachers to instruct, students to study, and business men to supply the needs of both. Many who came liked the community and school well enough to stay and become residents. When the village was incorporated in 1893, the corporate limits were set at nine hundred yards in all directions from the northwest corner of the first college building. 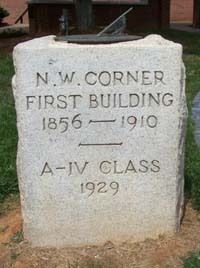 While the building did not survive, the NW corner stone is prominent today on the campus in front of what is now the college administration building. No Mars Hill history is complete without the story of the infamous bank robbery of 1935. Six armed men held up the Bank of Mars Hill on a September afternoon. The robbery was discovered by two local girls. Their warning was relayed to the telephone switchboard operator who sounded the town fire alarm. The startled robbers fled the bank with $2,000 and sprayed the town with gun fire as they drove away. Later 100 bullets holes were found in buildings on Main Street. An unfortunate college girl was hit by a glancing bullet which sent her to the hospital for several weeks. As the robbers fled town Police Chief, Garfield Ponder, empted his revolver at the car. Eventually all the robbers were arrested, tried, and convicted in Madison County. Ironically, the last of the bandits died in 1995 at a nursing home just a few miles from the scene of the robbery. In considering the name for their new college the trustees turned to the Bible. Acts 17 relates that while in Athens, Paul was invited by philosophers to speak to them at the forum. "Then Paul stood in the midst of Mars' hill, addressed them". Thus the founding fathers named the college for a famous site of learning and of biblical significance. 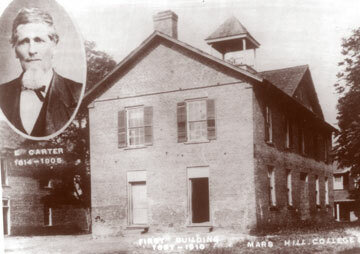 The Institute became Mars Hill College in 1859. The early formation of the college was not without its problems. A famous story concerns, Joe Anderson, a slave who was put up as collateral for the college. Joe was the slave of J.W.Anderson, one of the trustees of the new school. When the trustees could not meet their bill, the contractor for the first college building seized Joe as security for the debt. The sheriff put Joe in jail until the claim could be paid. The trustees raised the necessary funds and redeemed Joe within days. 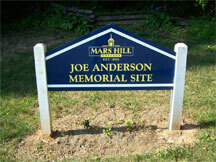 After the Civil War Joe was given his freedom and a tract of land near Mars Hill. His body is interred in a grave on the college campus. 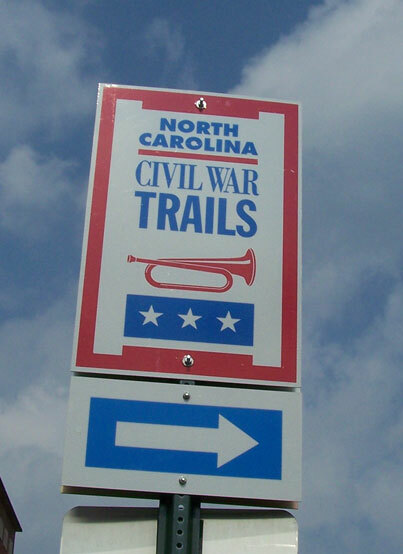 During the Civil War, Mars Hill was a strategic location, a crossroads for north-south and east-west travel. A hundred-man detachment of the 64th North Carolina Infantry called Keith's Detail- was the first of several Confederate units posted in Mars Hill throughout the war. The last two years of the war the college was closed. In 1865 union troops raided Mars Hill and burned the college dormitory and teachers residence. The college survived, but it took forty years to replace what had been destroyed. As the college grew, the town grew also. A general store was built, a doctor's office established, and boarding houses opened for college students. Apparently, 1913 was a boom year for the growing community. 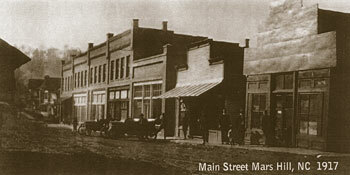 Several new buildings were erected, including two stores, a bank building, general store, drug store, and a funeral home. The first church in Mars Hill was organized in 1856 and named Pleasant Hill Baptist Church, later to become Mars Hill Baptist Church in 1860. In 1887 a wooden sanctuary was built which was replaced with a brick structure in 1918 and served the congregation until 1954. 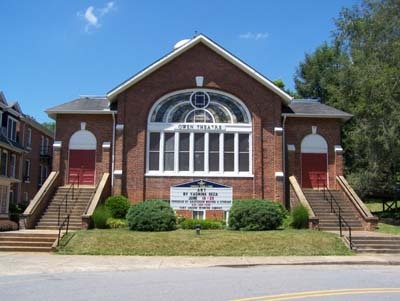 The current Mars Hill Baptist was erected on North Main Street and the old sanctuary became Owen Theatre. The first public school building was erected in 1904 on North Main Street: however, it was just a short time before more space was needed and a second larger building constructed. In 1936 a rock building was erected on Bailey Street, the site of the existing elementary school. The old rock building currently has been renovated by residents as a senior citizen center. During the early years transportation was a major problem for Mars Hill typical of most small rural towns in the mountains. Travel was slow and the only means available were wagon, horseback, or walking. A wagon shuttle was operated to Weaverville which connected with a trolley service into Asheville. The trip there took a day and wise passengers carried their old shoes as they might have to help push the wagon. Today Mars Hill is a self-sufficient community. It hosts a variety of churches, restaurants, businesses, numerous medical services, schools, recreation facilities, and more. It is located on busy Interstate 26 with rapid access to Asheville and the southeast region bringing retirees, new residents, and tourists to the mountains seeking a more hospitable environment and life style. Note: much of this historical material was taken from "This is Madison County" an unpublished document by Jinsie Underwood, Mars Hill College.